Sensational Saturday !!! 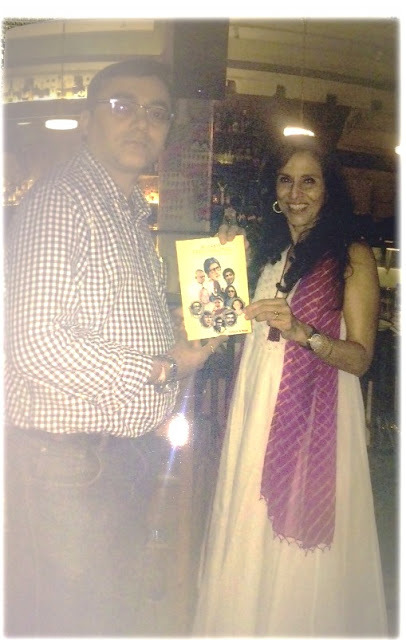 Warms up my heart to present the copy of my book titled "Notable Personalities" to India's best selling author the glamorous Shobhaa De. Shobhaa De, is often featured as the Most Beautiful, Most Influential and Most Powerful Indian Women popularly known for her journalistic contributions and bold opinions who also holds the credit for all her 18 books topping the charts. Thank you for your kind words. Happiness Shared and Time Well Spent . . .